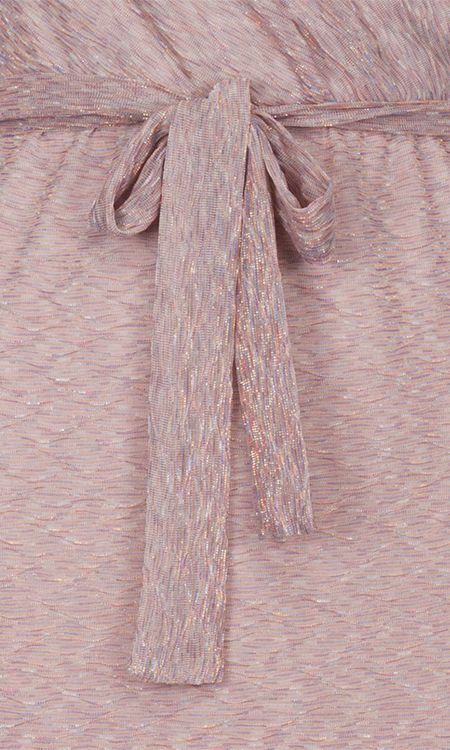 This elegant dress in powder pink has a golden thread woven into it. Furthermore, the top of the dress has a V-neck with a slightly loose top. 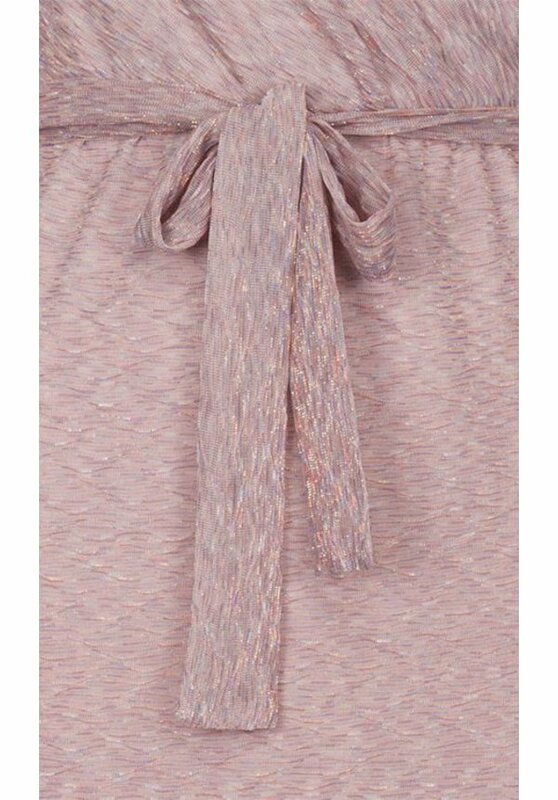 The dress has 3/4 sleeves and a drawstring around the waist.